PBS has been down with Amazon's Prime Instant Video service since it launched, and now it's providing even more all-you-can-eat video for streaming under an expanded agreement. Naturally that means lots of episodes of NOVA and Antiques Roadshow, and "for the first time on digital video", 200 episodes of The French Chef with Julia Child. According to Amazon, that puts its total number of selections over 12,000, more than double the amount of content it launched with. It still has a ways to go to match Netflix, but with a lower yearly price, sweet shipping deal and now the ability to teach you how to make an omelet, Amazon has developed a very compelling alternative. Amazon Prime Instant Video expands its library with even more video from PBS originally appeared on Engadget on Fri, 21 Oct 2011 13:40:00 EDT. Please see our terms for use of feeds. 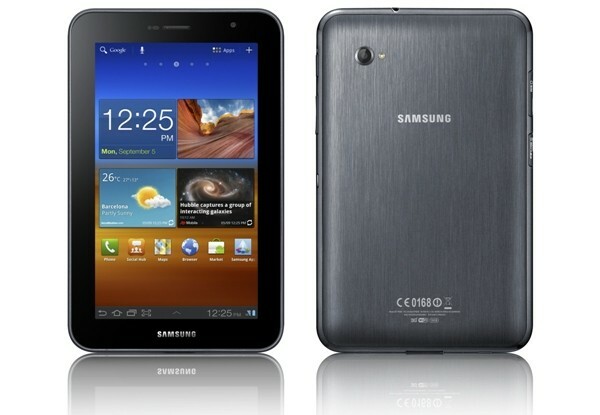 Nearly a month after its initial announcement, Samsung's ready to deliver the Galaxy Tab 7.0 Plus to the good ol' US of A just in time for the winter gift-giving season. The WiFi-only device, which packs a 1.2GHz dual-core CPU with 1GB of RAM, Android 3.2, 3MP camera with 720p HD video capture and a 7-inch LCD with 1024 x 600 resolution, will be begging for your credit card as of November 13th at Best Buy, Amazon and other retailers. Are you an early adopter? No prob -- you'll have the opportunity to pre-order yours at "select retailers" this coming Sunday, though no specific outlets were called out by name. The 16GB is the only version arriving so far, but Sammy told us to expect the 32GB flavor later this year or early 2012 (likely for $499, if yesterday's brief appearance on Amazon is any indicator). No word on partnerships with carriers yet, but we'll keep you posted on any updates. View the press release in all its glory below. Samsung Galaxy Tab 7.0 Plus WiFi hitting the US November 13th for $400, available in 16GB for now originally appeared on Engadget on Fri, 21 Oct 2011 14:29:00 EDT. Please see our terms for use of feeds. It was just last week that we got to take home the Acer Aspire S3, the first Ultrabook to go on sale here in the States. Unfortunately, it doesn't live up to the pillars laid out by Intel: its performance trails similar machines, its battery craps out early and the design, while portable, is too chintzy to make it a bellwether for skinny Windows laptops. Our verdict, in a sentence, was that you'd be better off getting a MacBook Air, or at least considering other Ultrabooks -- namely, ASUS' line of Zenbooks. As it turns out, one showed up on our doorstep just a few days later. In many ways, the UX31 is everything the S3 is not: it has a gorgeous all-metal design and comes standard with an SSD and 1600 x 900 display (not to mention, a case and two bundled adapters). And with a starting price of $1,099, it undercuts the entry-level (and similarly configured) MacBook Air by two hundred bucks. 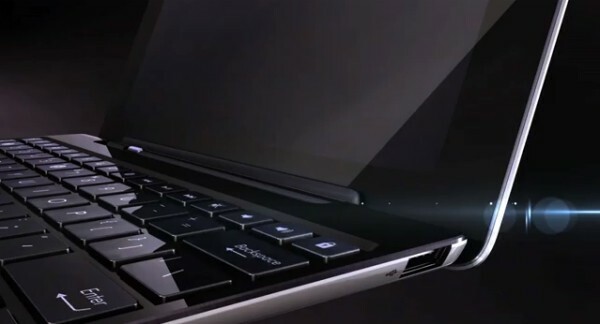 So is this the Ultrabook we've all been waiting for? We suggest pouring yourself a large beverage, settling into a comfy chair and meeting us past the break. We've got a lot to say on the subject. 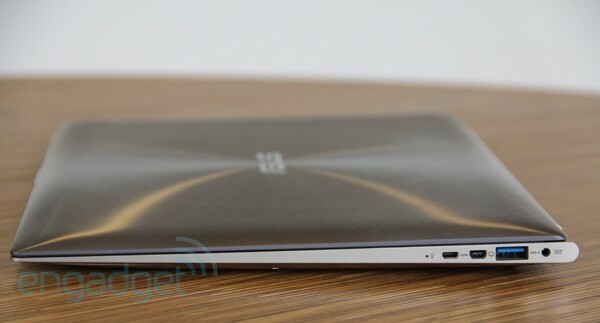 ASUS Zenbook UX31 review originally appeared on Engadget on F ri, 21 Oct 2011 16:25:00 EDT. Please see our terms for use of feeds. 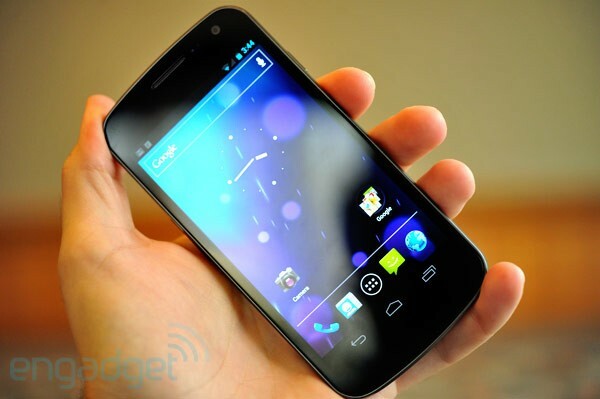 After a few leaks and false starts, Verizon has finally made its plans to offer the Galaxy Nexus "later this year" official. That's really the only detail revealed, as its price, release date and availability on other carriers are still unknown. Check out the press release after the break if you need any more confirmation. Verizon (finally) confirms it will have the Galaxy Nexus originally appeared on Engadget on Fri, 21 Oct 2011 18:11:00 EDT. Please see our terms for use of feeds. Let's be honest here, Android has always had an emphasis on voice control in its OS but it's never been as converational as Siri is for the iPhone 4S. Iris, which was amazingly completed in 8 hours by Android dev Narayan Babu and his team at Dexetra, is a heckuva more conversational. It understands the questions you ask by voice and then spits out answers back at you. It's not always accurate (neither is Siri) but it's only in alpha and has a pretty good sense of humor about itself. You can have a general conversation with Iris or ask her questions about science, history, culture and more. Iris doesn't seem to have any math skills but she's quick on the draw with Wikipedia responses (which is all I really want). The app isn't nearly as useful as Siri, it's also a lot slower than Siri but it's proof that the Android dev community is amazing. That's more or less the reason I love Iris, Android devs can get inspired from an idea and turn it around into a usable app in no time. Iris does a pretty good job in understanding what I'm saying, which is great! But it doesn't do as good a job processing my question into a relevant answer. When I asked what 5+5 was, it responded "the audio work by Kit Clayton vs Safety Scissors'. Basic, simpler and non-math queries work decently well but you shouldn't expect it to solve the harder questions (though it'll be funny!). It flashes the potential every now and again though. Microsoft's next Xbox 360 Dashboard update may be packing enough deep Kinect integration to make your inner Anderton tingle with glee, but it won't do you much good if you live in a shoebox apartment, cramped dorm, or happen to own a couch. For all of its fun tricks, the Xbox's depth sensor is woefully farsighted, and doesn't play nice if you stand too close. What's a motion loving, spatiality challenged gamer to do? Well, we've heard of one option. 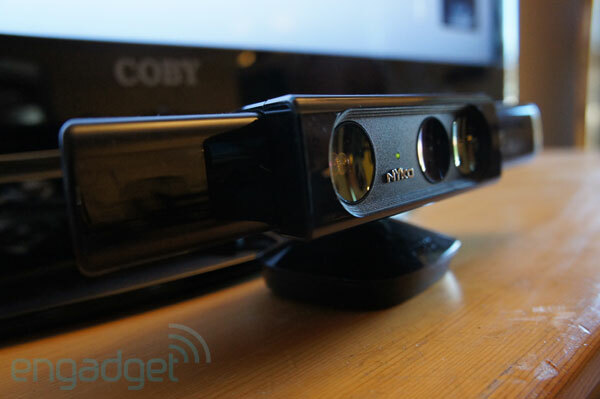 Nyko announced the Zoom for Kinect quite some time ago, making lofty promises of reducing the sensor's minimum required play distance by up to 40 percent. It performed notably well when we gave it a whirl at E3, but with Redmond's Kinect heavy Dashboard redesign just around the corner, we thought we'd give it a second look. 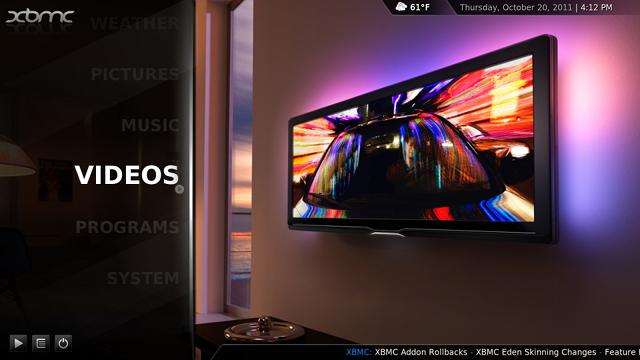 Nyko Zoom for Kinect hands-on originally appeared on Engadget on Thu, 20 Oct 2011 11:40:00 EDT. Please see our terms for use of feeds. Who said all the 3D perks had to be reserved for Hollywood? DXG's making the home video fun a virtual en vivo experience with the release of its 3D and 2D camcorder, set to hit the company's online store today. For $299, you're getting a 5 megapixel still camera and glasses-free, 1080p HD video recording at 30fps, viewable on either the handheld's autostereoscopic 3.2-inch LCD display or the flatscreen of your choosing via an included HDMI cable. The DXG-5F9V only ships with 128MB of storage inbuilt, so if you're aiming to immortalize your Jackass-worthy shenanigans, you'll want to secure a 32GB SD card for additional capacity. With the holidays fast approaching, this might be your best bet to relive those looks of disappointment on Christmas morning. Official presser after the break. 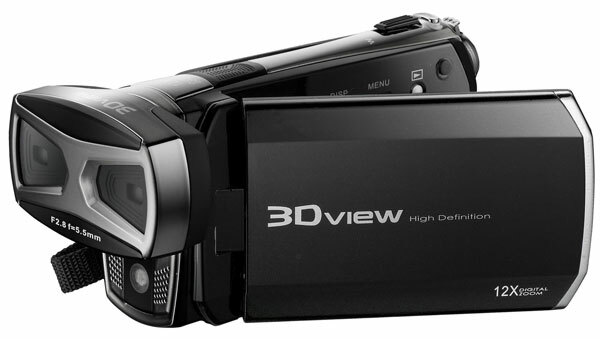 DXG-5F9V makes home video memories a 1080p HD affair, 3D glasses not required originally appeared on Engadget on Thu, 20 Oct 2011 12:00:00 EDT. Please see our terms for use of feeds. 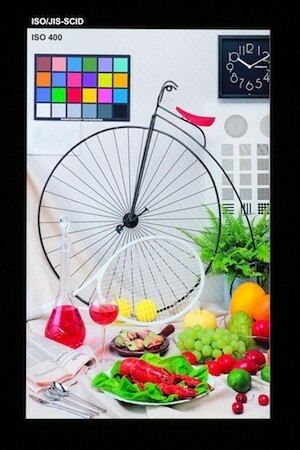 Toshiba shows off 6-inch tablet display with 498ppi resolution originally appeared on Engadget on Thu, 20 Oct 2011 14:29:00 EDT. Please see our terms for use of feeds. Hark! 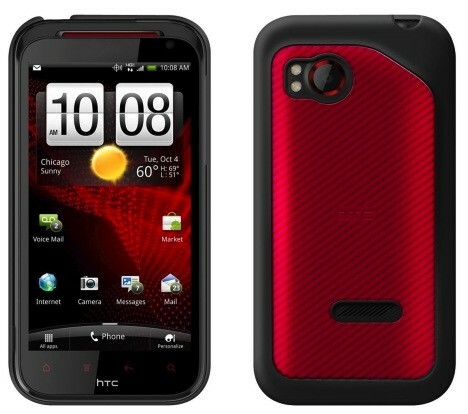 The first renders of the HTC Rezound have appeared online, thanks to some of the device's cases going up for pre-order. You can see that, like the Sensation XE, the phone has red-glowing soft keys -- a bit of a departure from HTC's traditionally conservative design language. If you recall, the phone formerly called Vigor is said to have a 4.3-inch screen, a dual-core 1.5GHz processor, 1GB RAM, Beats Audio and an 8MP rear camera. Now that you know what the Verizon 4G cellular telephone will look like, you'll be able to pick one out of a lineup when it's available, which should be on November 10th for $300 on contract. 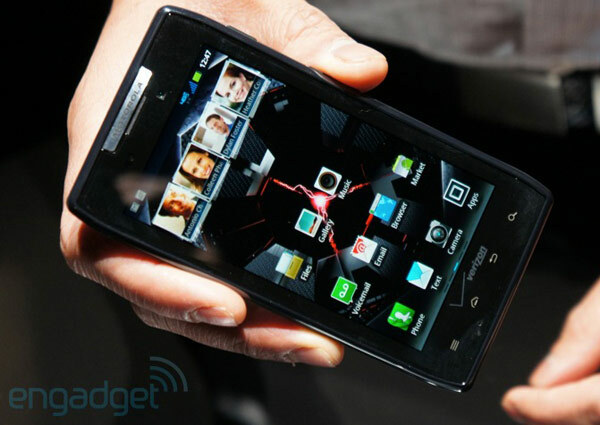 HTC Rezound render resoundingly revealed originally appeared on Engadget on Thu, 20 Oct 2011 15:37:00 EDT. Please see our terms for use of feeds. Galaxy Nexus barometer explained, Sam Champion not out of a job originally appeared on Engadget on Thu, 20 Oct 2011 17:03:00 EDT. Please see our terms for use of feeds. 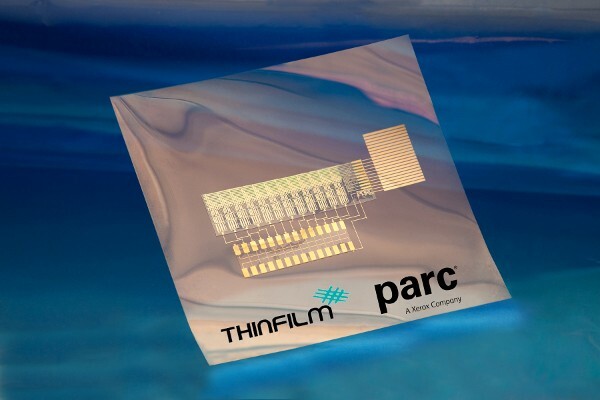 ThinFilm and the legendary PARC (of mouse and GUI fame) announced they have produced a working prototype of a printable circuit that incorporated organic, rewritable memory and transistors. 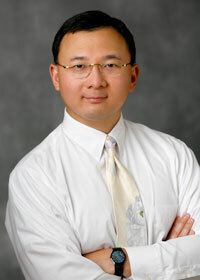 The resulting integrated circuits are essentially CMOS "chips" that can be printed on large rolls at extremely low cost. The most obvious application of the technology is in NFC chips, but the small price and size could find the printable circuits turning up as everything from price tags to freshness sensors on food packaging. Sure, the idea of an "internet of things" sounds a bit cheesy, but there's no denying the allure of a world where practically everything is "smart." Check out the full PR after the break for a few more details. ThinFilm and PARC demo printable, organic CMOS circuit, inch us closer to an 'internet of things' originally appeared on Engadget on Fri, 21 Oct 2011 00:01:00 EDT. Please see our terms for use of feeds. For all the buzz around Samsung's latest hi-def smartphone, the absence of one little word has largely been glossed over. That word is "Plus" -- the wizened Galaxy S II has a "Super AMOLED Plus" display, for example, whereas the sparkly Galaxy Nexus is merely "Super AMOLED." Did the marketeers simply forget those extra hyperbolic keystrokes, or does the difference actually mean something? Well, regrettably, it does. Samsung uses "Plus" to refer to full RGB displays, in which each pixel possesses its own trio of red, green and blue sub-pixels. Meanwhile, a non-Plus display uses a cheaper PenTile system -- which forces pixels to share each other's sub-pixels. Aside from potential hygiene issues, this results in a lower overall sub-pixel density, reduced sharpness and worse color rendition. We saw the difference clearly enough when Engadget Spanish microscopically compared the original non-Plus Galaxy S against the GS II, and now the folks at FlatPanelsHD have undertaken a more up-to-date comparison at the source link. The upshot? They calculated that, despite its 4.65-inch screen size, the Galaxy Nexus has the same number of sub-pixels as the 3.5-inch iPhone 4/4S. Think of a word with no r, g or b in it, and you eventually arrive at "disappointed." Update: We just added AnandTech's analysis at the More Coverage link. They point out that if you like the pixel density on the GS II, you should be happy with that on the Galaxy Nexus -- although they don't address color rendition. The Galaxy Nexus' Super AMOLED display is a minus, not a Plus originally appeared on Engadget on Fri, 21 Oct 2011 05:40:00 EDT. Please see our terms for use of feeds. We got it straight from the horse's mouth here at Samsung and Google's Galaxy Nexus launch event that the future LTE edition of the Galaxy Nexus will indeed be thicker than the HSPA+ model showcased today (and above). How much thicker? "A little," according to a company representative, but he wouldn't go so far as to talk millimeters. When asked if the additional size was there to hold the LTE package or just a larger battery, he also failed to elaborate. We'd be shocked if the LTE variant doesn't pack at least a bit more juice -- we've covered the damage that LTE does to a battery in great detail here -- but frankly, we'd rather have something a wee bit thicker than a phone that dies after four hours of use. 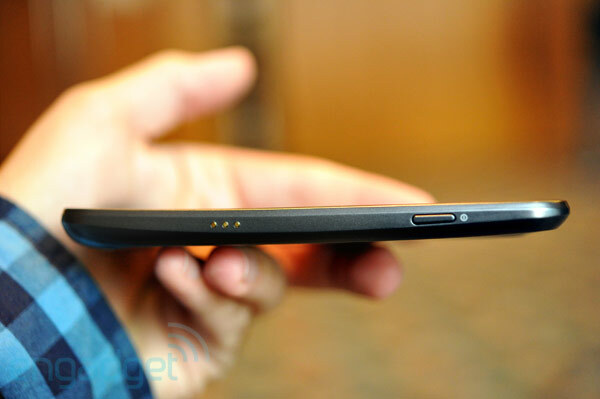 Samsung: the LTE version of the Galaxy Nexus will be 'a little' thicker originally appeared on Engadget on Wed, 19 Oct 2011 02:36:00 EDT. Please see our terms for use of feeds. ASUS has just posted a new video teaser for what appears to be a next-generation Eee Pad Transformer. Titled "The next Transformation," the clip is pretty light on details, though the mysterious device does make a brief appearance toward the end, sporting a design similar to what we saw last week, with ASUS' Zenbook lineup. No word yet on whether the forthcoming Transformer will be powered by NVIDIA's quad-core Kal El, as rumored, but you can see the teaser for yourself after the break. ASUS hints at next-generation Transformer in brief teaser video originally appeared on Engadget on Wed, 19 Oct 2011 06:34:00 EDT. Please see our terms for use of feeds. 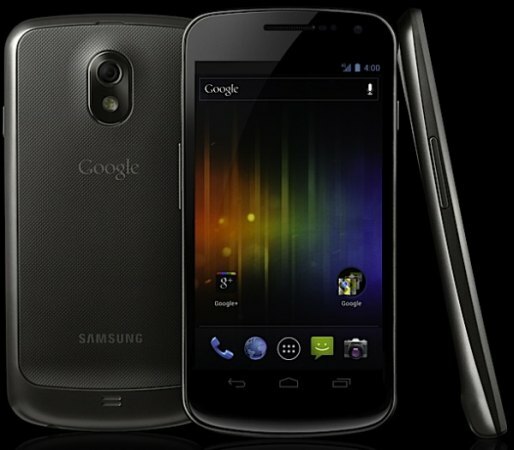 drag2share: Galaxy Nexus, Ice Cream Sandwich roundup: specs, details and insight, oh my! 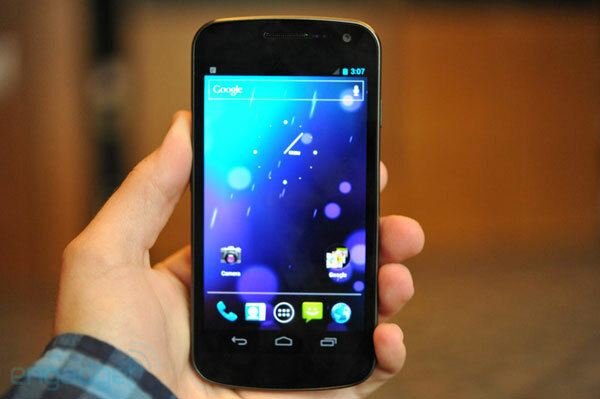 Galaxy Nexus, Ice Cream Sandwich roundup: specs, details and insight, oh my! originally appeared on Engadget on Wed, 19 Oct 2011 08:01:00 EDT. Please see our terms for use of feeds. We know that Samsung has the first crack at Android 4.0 with the Galaxy Nexus, but it'll only be a matter of time before we begin seeing it show up on rival devices. HTC has already made an official statement on its plans (or lack thereof), and now it's Motorola's turn. Alain Mutricy, SVP Portfolio and Product Management, was in Germany talking up the European announcement of the RAZR, and slipped in a few details about Ice Cream Sandwich. Mutricy mentioned that while the company's new flagship device was designed for Gingerbread, plans have been set to introduce the latest version of Android in the start of 2012, with a more precise date naturally on its way. Given past experience, however, it's probable that the unbranded version of the device will get the refresh ahead of the Droid RAZR on Verizon, so US users may need to exercise a wee bit of patience here. Regardless, it's time for the competition to step up -- if the RAZR is next in line to get the OTA update, the Galaxy Nexus will have the spotlight all to itself for a fair amount of time. Motorola RAZR to get updated to Ice Cream Sandwich in early 2012 originally appeared on Engadget on Wed, 19 Oct 2011 09:55:00 EDT. Please see our terms for use of feeds. 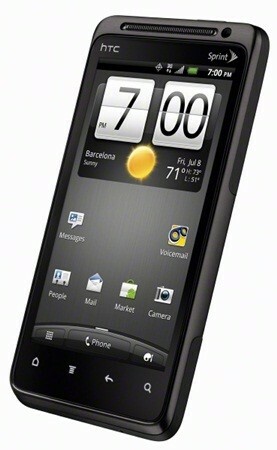 That HTC EVO Design 4G leaked a couple months ago? Oh, it's real -- and Sprint's finally ready to share its story with the world. The tale of the EVO Design 4G is simple enough: for a penny under $100, you can have a WiMAX-capable device with GSM roaming that features a 4-inch qHD (960 x 540) display, 1.2GHz Qualcomm MSM8655 CPU, Android 2.3 with HTC Sense UI, Mobile Hotspot, a 5MP rear camera with HD video recording (720p, we presume) and a 1.3MP front-facing cam. In summary, the Design 4G is basically the Hero S with WiMAX and global roaming capabilities. 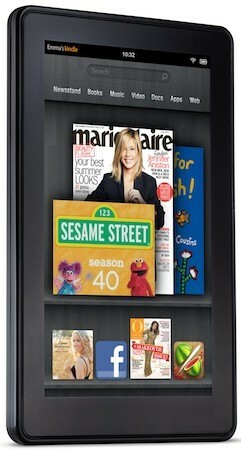 Look for this device to show up online and in stores on October 23rd, and look after the break for the press release. Sprint unleashes the HTC EVO Design 4G, available October 23rd for $100 originally appeared on Engadget on Wed, 19 Oct 2011 11:16:00 EDT. Please see our terms for use of feeds. Earlier this summer HTC scooped up a slice of Beats by Dr. Dre stock, and we're finally seeing the much-anticipated Beats Audio popping up in phones. We also know that HTC is throwing developers some neat API tools, so it's no stretch to imagine that the two projects might one day play nice together. Sure enough, a developer API is on its way -- good news for music loving app makers eager to hook into the tune-enhancing functionality. HTC told us the tools will "allow third-party developers to harness the potential of Beats Audio and bring that top-notch audio experience to their own apps," although with no release date, it's still out of ear-shot for the time being. That said, the timing might be perfect given that Google's download store just went official. While we're looking forward to hearing how those clever coders will make use of the tools, and exactly what goodies HTC is offering, we're hoping at least some ideas won't be given the Beats factor. 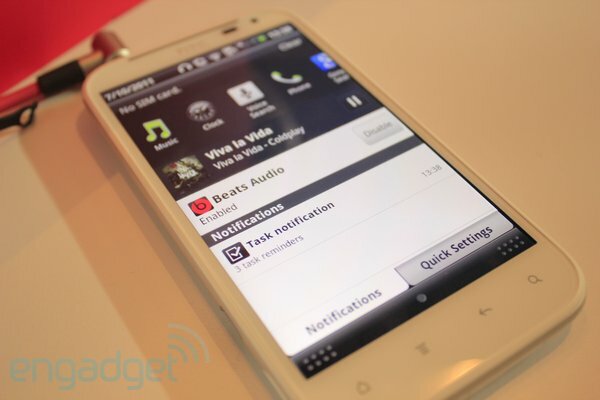 HTC's new audio API Beats OpenSense into developers originally appeared on Engadget on Wed, 19 Oct 2011 13:02:00 EDT. Please see our terms for use of feeds. Stephen Elop famously fumbled when shots of Nokia's "super confidential" Mango handset made their way to the interwebs. Since then, we've seen footage from the factory floor, and even teases of upcoming marketing materials outing the 800, or the phone formerly known as Sea Ray. Now, leaked press shots over on PocketNow, once again, treat us to a preview of the Espoo / Redmond mobile marriage and its candybar-shaped offspring -- available in blue, pink and black. From what we can see in these renders, the volume rocker, power button and apparent dedicated camera shortcut key are all placed on the right side of the handset, with a speaker grille located at the device's base. Of course, there's that familiar Windows Phone 7.5 live-tiled interface and three capacitive buttons on the handset's screen. 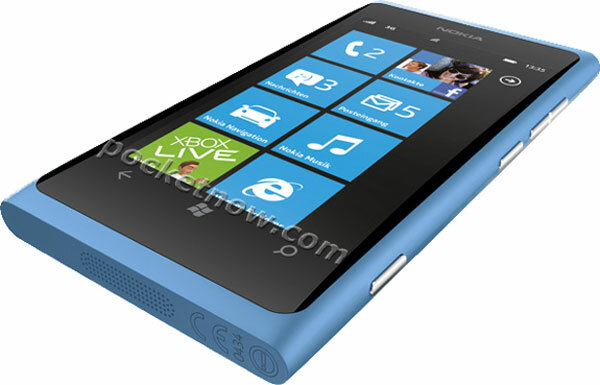 For now, that's all she wrote, but is it enough to tide you over 'til its eventual reveal at Nokia World? Our trusty magic 8-balls says, "You may rely on it." We're inclined to agree. Nokia 800 press shots leak, Espoo's Windows Phone Mango lovechild now close at hand originally appeared on Engadget on Wed, 19 Oct 2011 13:22:00 EDT. Please see our terms for use of feeds. Ready for the world's first consumer light field camera -- you know, the spiffy kind that can infinitely focus? After demoing the tech earlier this year, Lytro's unveiled the world's first shipping product -- a little something it calls the Lytro camera. Within the anodized aluminum frame, the consumer-friendly camera totes an f/2, 8x zoom lens which utilizes an 11-mega-ray light-field to power all that infinite focus magic. It's instant-on and the rubber back-end wields only two physical buttons: one for shutter and the other for power. The company's added the ability to change the focus on-camera, a task accomplished via its touchscreen glass display. It'll ship in two versions: the $399 8GB flavor can hold 350 pictures, and comes in graphite or blue, followed by a $499 16GB model, which sports an electric-red finish and stores up to 750 images. 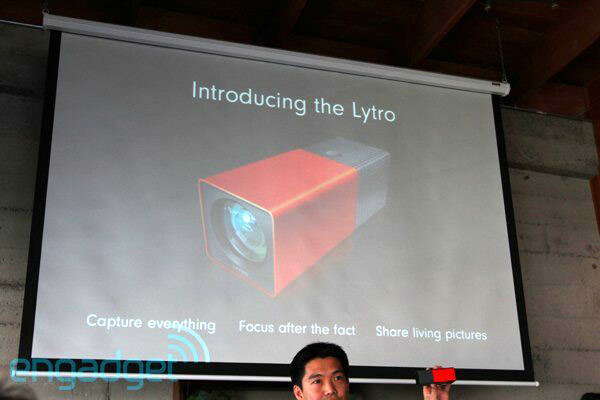 Pre-orders go live at Lytro's website today, and will ship in early 2012 on a first-come first-serve basis. The company has several on-hand today, though, so stay tuned for our hands-on! Lytro introduces world's first light field camera: f/2 lens, $399, ships early 2012 originally appeared on Engadg! 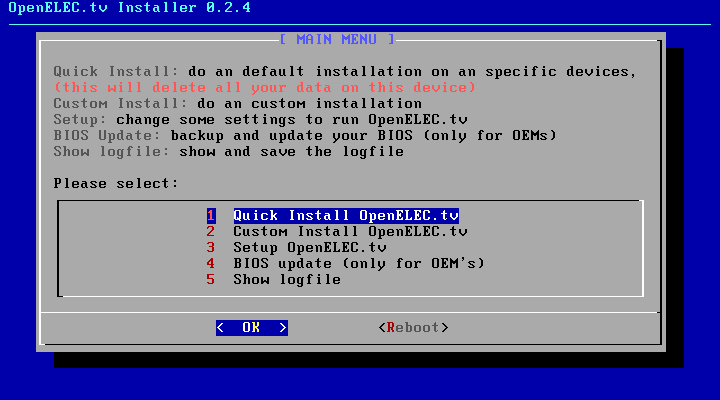 et o n Wed, 19 Oct 2011 14:50:00 EDT. Please see our terms for use of feeds.